The End of the 401(k) Match? As if the recent stock market turmoil hasn’t been enough, here’s a disturbing trend for retirement savers… According to a recent article, General Motors and Frontier Airlines have both stopped matching employee contributions to their 401(k) retirement accounts. While these companies happen to be in particularly downtrodden industries, and thus might not be a harbinger of trouble on the retirement front in general, you know what they say… Past is prologue. Looking back to the 2001-2003 recession, the Vanguard Group estimates that 5% of the company retirement plans that they manage suspended their matching retirement contributions, though most reinstated them within 2-3 years. Apparently these contributions represent an average of 11% of a companies profits, so they’re an attractive cost-cutting target. The ability to freely reduce these sorts of benefits is one of the things that makes 401(k)-type plans more attractive to employers than traditional pensions. Unfortunately, the suspension of these sorts of benefits is akin to a pay cut for affected employees. Sure, they can’t touch that money until retirement, but it’s still their money. Imagine how you’d respond if you received a memo saying that you’ve been targeted for a salary reduction. A cut in retirement benefits should be interpreted in exactly the same way. 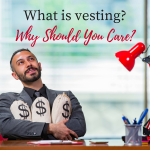 What Is Vesting and Why Should You Care? I’ve never gotten a match. I’m a temp – when i can get the work. Sarah, what do you mean “Republicans want to kill Social Security”? 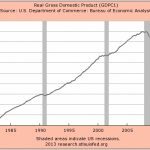 Social Security is going to implode unless it is changed radically, and relatively quickly. So Republicans want to kill Social Security, companies have been moving from defines pension to 401k’s, and now the matching contribution goes away. I think those are mainly isolated, considering the condition of those two companies. Even at that, I can’t see them cutting company contributions for long. Once they start turning a profit again (which if they do, it won’t be too long), they’ll be reinstating their matching plans. FAM: It’s hard to say. While the pension might look great right now, there’s always the possibility that benefits will be reduced, etc. It’s just another step in the impoverishment of the American worker. Defined pension plans were much safer for most people; they represented a relatively risk-free source of retirement income, which absolutely is not the case with a 401(k) or 403(b). Since there’s no requirement for employers to match your contributions, it’s reasonable to expect that eventually they will stop doing so. IMHO, it would be far better to pay the taxes on your savings and be allowed to put a much larger amount into Roth IRAs. The Roth as the advantage that you can pass it to your kids without having a large chunk confiscated, in addition to the obvious advantage that you can best afford to pay income taxes when you have a job. As a person nearing retirement, I now can see that after I’ve paid tax on a 4% withdrawal from savings, I won’t have enough to live on, combined with Social Security. My savings are many times that of the average American. Despite that, the drop in the stock market coming at a time when I’m on the verge of retirement (read “layoff at retirement age”) leaves me with too little to survive on. When I started at the university, I had a choice between the state pension plan and a 403(b) arrangement. Mebbe I should’ve taken the pension plan! 401K matching is just like any other form of pay. The real problem is that the government creates a distorted tax incentive here, based on which companies match contributions and which don’t. The real solution is for the tax code to be changed such that retirement savings are subject to tax deferral, whether they are done in the context of a 401k and IRA or another type of retirement savings, up to a certain amount. The amount should not be subject to change based on the source of the contribution. Under this kind of arrangement, companies would pay employees their salaries and employees could decide how to spend or save their money. Companies would be much more hesitant to cut salaries than they are to reduce so-called “benefits”. I worked for a company that cut my pay. Didn’t like it, and didn’t last long there after the fact. The worst part was that it was done to increase profits, not to keep the doors open. My company doesn’t give much of a match (and they lump sum it at the end of the year) so it wouldn’t kill me if they took it away. But, it’s this slow chipping away at benefits that disturb me, eventually it will touch things important to me like health insurance. If my choices were “you will be let go, or your 401k contributions will be cut, or your salary will be cut,” I would gladly take a pay reduction, and I wouldn’t really care whether that pay reduction was in the form of 401k contributions or wages. I don’t have to imagine. Just got out of a meeting stating exactly that, all contract employees get a 10% pay cut effective immediately. It would be adding insult to injury if my company decided to turn around and get rid of the matching funds too.